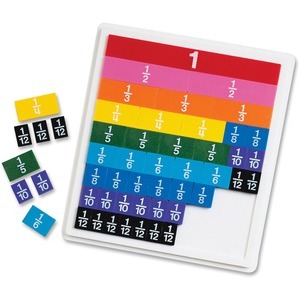 Fraction tiles help children understand fractions using a visual and hands-on approach. With these color-coded tiles, students can manipulate parts of a whole to see how they relate to each other and make mathematical connections. Set includes tiles, plastic tray, teacher's guide and stickers.